Versatile styling brushes especially for blowing out hair. Large – for long hair; small for short pixies and bobs. A lightweight, 100% natural boar-bristle round brush for blowing out and styling hair. 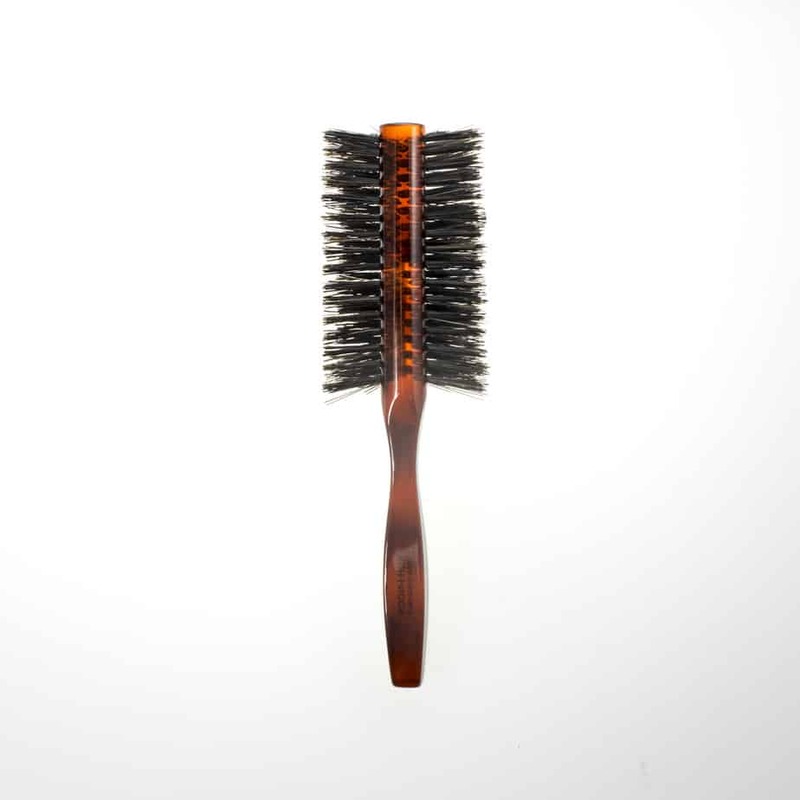 Brushes give lift at the roots, set curls, and smooth unruly hairs near the hairline. Large Round is for blowing out long hair. Small Round is for shorter, pixie styles. Large Half-round is for mid-length styles. Care: Remove any excess hair from your brush and swirl the brush in a bowl of lukewarm water with a little shampoo in the water. Rinse thoroughly, removing all soap, dirt, hair and oils. Air dry. Handmade with unevenly cut boar bristle to better grip your hair from the roots, protect hair from tangling and smooth the cuticle, enhancing your hair’s natural luster. Never mass-produced, each brush is made by hand. The Jaspe collection features an iconic tortoise shell design, making it one of our customer favorites. The body is made of cellulose acetate with a gold-stamped logo. I didn’t know I would love a hair brush! It’s my favorite beauty product. I love the way my hair looks - smooth and almost gleaming! My hair is so thick and is prone to frizziness. This brush makes a major difference. My blowouts take less time and are easier with this brush. I have a lot of hair and it really gives me a polished look.